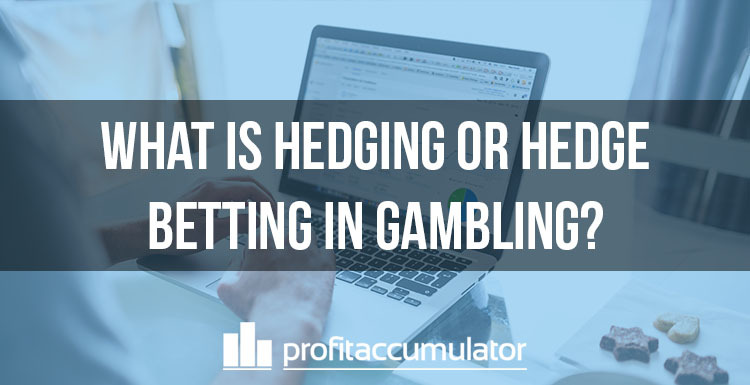 What is Hedging or Hedge Betting in Gambling? The term "hedge your bets" is well-known phrase. It has been around in English since at least the 16th century, when it referred to laying off a bet by placing a smaller wager with other lenders. And, today in modern gambling, the meaning still holds true. Essentially, "hedging a bet" means to reduce risk and, sometimes, guarantee a profit. Members of Profit Accumulator are shown how to use techniques such as this to help make a risk-free income every month through matched betting. The concept is based on placing bets on different outcomes to create an outcome that returns a profit – winnings minus all stakes – regardless of whether the original bet wins or loses. You might be familiar with arbitrage betting – or arbing. Arbing relies on finding a discrepancy between bookmakers’ odds and placing simultaneous bets. But hedging is possible due to a shift in odds over time, often due to a change in circumstances or opinion. Hedge betting is a gambling strategy that is also used in the finance world, where the potential losses of investments are mitigated by other outlays. Hence the term “hedge fund”. Of course, while losses can be reduced, it means any gains are also reduced, due to the outlay on the other parts of the hedge. Hedge betting is popular among professional gamblers, who look for value in a market. Outright sports markets are often a good place to look. Let’s say, for example, you bet £50 on Greece to win Euro 2004 at 40/1. (They were actually much longer than this with some bookies at the time of the tournament). You would be on the verge of winning £2,000 as they reached the final to play Portugal. Greece were still massive outsiders to lift the trophy and Portugal were expected to win, which would leave you with a £50 loss. However, you could hedge the bet by backing Portugal. If Portugal were, say, 4/5 favourites to lift the trophy, a £1,000 bet would bring a profit of £800. So, Greece win would be £1,000 profit, while Portugal win would be £800. In this example, you would have to remember to back Portugal to lift the trophy, as opposed to winning the match in 90 minutes, as a draw would wipe out that side of your bet. In the example above, the bet is £1,000 on each side, but it is possible to adjust the stakes to shift the risk. For example, if Greece had three key players suspended for the final, you might have considered putting more on Portugal to ensure the return from that side of the bet was more profitable. It would have meant the profits from the other side of the bet was lower, of course. Hedging is all about balance and weighing up your options. The odds of a given outcome will change while the event is in progress – for example if Team A takes the lead in a football match. The option offered by most bookies to bet in-play means hedging can be used here, too. For example, if you have backed the underdog to win and they take the lead, you can use some of your potential profit to bet the favourites to come from behind to win, guaranteeing a return. Bookies use hedging all the time to limit their risks. By laying off their liabilities, they put themselves in a position to make money – or at least make sure the damage is limited. Bookies are using the money they have taken from punters and use hedging as a form of insurance. The formula for working out whether hedging is worth considering or how much to gamble is relatively simple. But there’s also hedge betting software and hedge bet calculators to help you make sure you’ve got the numbers exactly right before you bet. 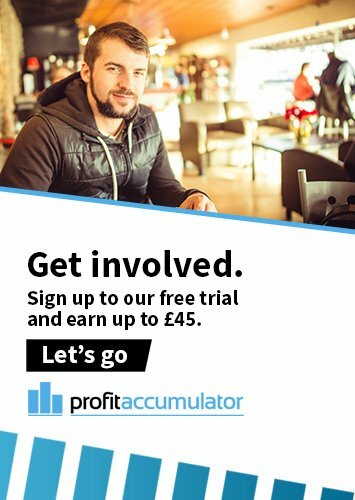 The matched betting calculator available to Profit Accumulator members is an example of a hedge betting calculator that also allows you to factor in the commission when you back or lay the bet.